Jul 11, 2005 Br. Hugh, M.I.C.M. Father Byrne published this happy assessment in 1921, and with good reason for it. The Queen of Heaven indeed was dearly loved and honored in those times, especially here in the city of Boston. 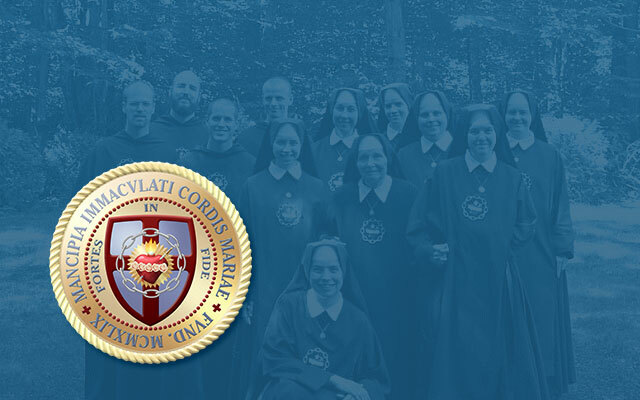 And the Congregation of the Most Holy Redeemer, of which Father Byrne was a member, had played no small role in spreading these flames of Marian devotion. But in a particular way it was the Mother of Mercy Herself who inspired such love, by countless miracles wrought through Her intercession as Our Lady of Perpetual Help. Fortunately, the help of our Mother Most Holy is perpetual, even if our loyalty to Her is frail and inconstant. There is never a moment, no matter how sinful may be our lives, when we cannot turn to Her in our needs and confidently await Her gracious aid. And if our troubled souls tend to forget this ever-hopeful fact, then we should swiftly carry them to Boston. We should make a pilgrimage to that terrestrial prominence called Mission Hill, at whose feet indiscriminately meet the cultural heights of art, education, and medicine down its west slope, and the depths of urban poverty on its east side. The place is easy to find. The eye can discover this modest mount from miles around by the conspicuous landmark that stands majestically at its summit — the beautiful Basilica of Our Lady of Perpetual Help, with its striking octagonal cupola and its ornate twin spires soaring some 215 feet high above the hilltop. In 1869, the Redemptorist Fathers conducted a mission at Boston’s St.James Church, reaping such abundant spiritual fruit that they were asked by Bishop John J. Williams to establish a permanent Redemptorist foundation in the city. An estate was purchased in Roxbury (then called Boston Highlands), and in February of the following year construction of a wood-frame church for the new mission house was begun on the site of the basilica’s present rectory. And well these Sons of Saint Alphonsus should have chosen this special patronage of the Blessed Virgin for their new church in Boston! For it was to honor Her express wish that the miraculous icon of Our Lady of Perpetual Help, believed to have been painted by Saint Luke, was entrusted to the Redemptorist Congregation in Rome, shortly after the death of Saint John Neumann. And during the few years after that honor had been bestowed on the Redemptorists, many new miracles were worked through the sacred portrait. Father Byrne recorded: “Shortly after the original [painting] had been exposed to public veneration in Rome, copies of it were made, blessed, touched to the original, and then transmitted to various parts of the world. One was sent … to the Mission Church, Boston.” The painting arrived here in the month of Our Lady, May, 1871. Appropriately, the Redemptorist Fathers chose to enthrone the image of Perpetual Succor, to whom their mission church was dedicated, above its main altar in solemn ceremony on Pentecost Sunday, May 28. A large crowd gathered in the streets for the great event, long before the start of the magnificent procession that escorted Mary’s picture to its humble shrine. And in that glorious hour the miraculous icon already began to manifest its powers of charm in New England. No sooner had the painting been displayed for veneration than its ceaseless wonders started. Several supplicants of Mary’s mercy began novenas during the triduum of ceremonies honoring Our Lady of Perpetual Help. Among them was a mother whose little girl had been afflicted since birth with a disease that produced an unhealing and extremely painful open wound on the child’s foot. Three days later the girl’s wound was found to be completely healed. Less than two days passed before the petitions of another client had been blessed. This time the beneficiary was a woman who had suffered fifteen years with a disease that “baffled and defied the skill of the best physicians in Boston.” Finally, having abandoned all human hope, she turned to the Mother of Perpetual Help. A few days after starting her novena all traces of the incurable disease disappeared. In March, 1872, an elderly woman, stricken with palsy beyond the hope of medical remedy, approached a priest from Mission Church and asked if he could do anything for her. The priest blessed the woman, gave her a medal of the Blessed Virgin, and instructed her to make a novena to Our Lady of Perpetual Help. The woman returned to him a few days later restored to complete health. Even without so precious a treasure as the sacred image that adorned the high altar of their wooden church, the Redemptorist missioners would have been, and in fact were, by their own eloquent merits, a compelling attraction to the spiritually impoverished souls of the Greater Boston area. So, too, were the relics and waxen corpus of the Roman martyr, Saint Nazarius, which were acquired in 1873 and exposed beneath a side altar. But word of the miraculous picture, before which great heavenly favors were being obtained, went speedily forth to needy and hopeful hearts. And in no time the frame church at Roxbury Crossing was being thronged with clients of Perpetual Succor — so much so, in fact, that construction of a much larger church had to be started only thirteen years after the original Mission Church was opened. That new church is the present Basilica of Our Lady of Perpetual Help, which was dedicated in 1878, and which today is one of the most beautiful churches in the United States. Yet for all its great size, the breathtaking basilica still was found inadequate to accommodate fully the many thousands who regularly flocked to this shrine of miracles in these earlier years. Many, to be sure, came principally to present their petitions to the merciful Queen depicted in the wonder — working painting. Miss Sullivan, 4 Mason Place, Boston, afflicted with hip disease for five years, was suddenly cured on Tuesday, December 8, after Holy Mass at the Mission Church. Miss Delong of Fitchburg, Mass., suffering for four or five years…not being able to walk without crutches, was also cured suddenly, leaving her crutches at the Shrine. Hannah Sullivan, twelve years of age, living in South Boston, was suddenly cured of blindness, with which she had been afflicted for several years. She was able to read from a book which one of the Fathers held before her. Miss Nellie Walsh, 22 Robinson Street, Lynn, suffering from hip disease and not being able to walk for almost three years, left her crutch at the high altar, and has done without it ever since, convinced that she will not need it again. …Catholics hesitate to use the great word “Miracle,” but the cures above recorded are certainly of a most remarkable order. Ellen Meagher, a local resident, was a trained private nurse. At some point in her career her arms were attacked with a rheumatic condition that forced her to take leave of her work. The symptoms became more pronounced, spreading through most of her frame. At times she suffered with severe vomiting, often inducing internal bleeding. The spells would last for hours, sometimes leaving her speechless and obliging her to remain in bed for months. Prominent physicians were constantly in attendance, but as death became more imminent, they finally declared the poor woman’s condition beyond medical aid. And so the stricken nurse was given Extreme Unction. A Redemptorist priest later visited Miss Meagher, and recommended that she make a novena to Our Lady of Perpetual Help. Throughout the nine days of her devotion friends carried the dying woman by carriage to the morning Mass at the church, and gently set her down near Our Lady’s famed altar. On the last day of the novena Ellen was again at Mass, but lapsed into unconsciousness for the greater part of the Sacrifice. She revived at the Communion, however, and was able to receive Our Lord in the Sacred Host. Mass ended, and when the blessing of the sick was given. Ellen Meagher arose and walked out of the church completely cured! Her doctors unanimously agreed that they were unable to account for her recovery except by a miracle. Reverend Peter Trimpel, C.SS.R., was stationed at the Mission Church when he was sent to give a mission in Vermont. There only a few days, Father Trimpel suddenly became ill and had to return to Boston. The doctor who examined him pronounced the priest “a very sick man, suffering with dropsy.” The missioner underwent several operations, and was advised to avoid any exertion whatsoever. But Father Trimpel could not bear for long to be away from the duties of his holy office. After a few days he expressed his earnest wish to say Mass, if a priest could be found to assist him. And Grace Hanley did walk — to the altar, “to thank our Dear Lord and His Blessed Mother” for her great blessing. From that time on, Grace enjoyed perfect health. She later entered the Order of the Sisters of Jesus and Mary, where she led a saintly life. As year followed wondrous year of perpetual mercy obtained through this favored devotion, news of Our Lady’s abundant blessings spread farther and farther. Almost every Catholic newspaper in the eastern United States at one time or another carried accounts of miracles authenticated at the famous Shrine. Even major secular journals not merely acknowledged these often spectacular prodigies, but actually reported some of them with unusually detailed and favorable commentary. And so. powerful devotion to the patronage of Perpetual Help spread throughout the nation, steadily firing hope in the hearts of more and more distressed souls. Many favors were reported from distant states by clients who had never come to the holy Shrine, but simply had invoked the Blessed Virgin’s aid through the novena of Her Perpetual Succor. In the war years, servicemen who had carried this pious devotion with them overseas told of many remarkable graces that they had obtained. This holy patronage, in fact, eventually became so widely known that the Redemptorists in Boston began to publish a magazine entitled The Little Messenger of Mary (later called Annals of the Shrine of Our Lady of Perpetual Help), to satisfy the broad interest. It contained accounts and letters concerning Mary’s glorious works of mercy, and at once it reached almost nationwide circulation. Of course, all this combined and constant notoriety drew continually growing waves of pilgrims to the basilica, until their numbers reached staggering proportions. Father Byrne wrote years ago: “When we have returned to the dust whence we were taken, generations as yet unborn will kneel before the Shrine and confide their woes and sorrows to Her who has never been invoked in vain.” His prophecy has proven true. Today the faithful, the hopeful, the loving children of Mary still come and kneel before Her miraculous portrait. But, sad to say, their numbers have dwindled sharply. What is the reason? Certainly it is not that our sweet Mother of Mercy has failed us. After all, She is Perpetual Help. And, in fact, She is bestowing Her loving favors on those who ask for them even at this very moment. Then what is the reason that so few come to Her now? It can hardly be that we do not need Her gracious aid any more. No; the only answer is that people no longer believe in miracles. Perhaps this is because they no longer have any real faith. In short, it would seem that we have failed our heavenly Mother. Indeed, then, we do need Her aid — more than ever before! Our Lady of Perpetual Help, pray for us!